While many potential laptop buyers are waiting for the Oct. 26 release of Windows 8 and the new hardware designed to use it, not everyone can afford to tarry. Students going back to school, or folks whose computers desperately need replacing, are in the market now, and computer makers are bringing out new models to entice them. Apple has recently refreshed its laptop lineup and equipped it with a new version of its operating system called Mountain Lion. These Macs are excellent machines, well worth considering. But for people who prefer Windows PCs, there are new choices packaged with Windows 7, but upgradable later to Windows 8. I tested two new Windows laptops, aimed at different ends of the market. One, the Lenovo ThinkPad X1 Carbon, is a high-end, thin and light ultrabook model with a high price tag. The other, the Hewlett-Packard Envy 6 Sleekbook, is a handsome, midrange machine meant for the budget-conscious. Both machines have their virtues. I much preferred the ThinkPad, from a design and performance standpoint, but it starts at a whopping $1,399 and is meant for people like business travelers with deep pockets. The H-P delivers good value and a larger screen for a very attractive $599 starting price, and is meant more for students or people who are willing to trade price for somewhat slower performance, and greater bulk and weight. Neither machine was very impressive in my battery tests, and the costly Lenovo did worse than the much more affordable H-P.
Before getting into the details of each of these laptops, a word of caution is in order. Windows 8 is designed to work with touch-screen computers, and neither of these two laptops, nor most others on the market today, have touch screens. Microsoft says Windows 8 will still work fine with a standard, nontouch-screen laptop, and both Lenovo and H-P assured me these models will handle Windows 8 well. But as I've said before, you'll get more out of Windows 8 with a touch-screen PC. The ThinkPad X1 Carbon, available Aug. 21, pulls off an impressive feat: It fits a 14-inch screen into a body more typical of a 13-inch laptop. It weighs just 3 pounds, is less than ? ?-inch thick, and is only about 13 inches long and 9 inches deep. It is eminently portable, easily usable on an airplane seat tray. One reason for the machine's light weight is that it uses carbon fiber, a strong but light material, for much of its tapered body, which is in the traditional ThinkPad black. It felt rugged and solid. Not only has Lenovo crammed a larger screen into a small case, but it has endowed the screen with an especially high resolution of 1600 by 900. That means that more of a Web page or document is visible without scrolling than on some larger displays. ThinkPads have long been known for great keyboards and the X1 Carbon is no exception. For this model, Lenovo has tweaked the keys to provide a larger top surface and greater separation. I found typing on this backlit keyboard to be a real pleasure. The touch pad, which is made of glass, is 37% larger than on the prior model and the company says it will accommodate the gestures built into Windows 8. It was smooth and responsive in my tests. The new ThinkPad handled every app or program I tested quickly and well. It doesn't use a traditional hard disk, but instead relies on a solid-state drive-essentially flash memory-and was able to resume from sleep almost instantly. The downside of this is that you only get 128 gigabytes of storage in the base model. I was disappointed that such a premium laptop was mediocre in my harsh battery test, where I turn off all power-saving features, set the screen brightness to 100%, leave the Wi-Fi on to collect email in the background and play a continuous loop of music. The ThinkPad X1 Carbon got just four hours, one minute in this test, which means that in more normal use, you'd likely get about five hours. That is well below the company's claim of 6.3 hours. H-P's Envy 6 Sleekbook, available now, is an entirely different type of laptop. It costs less than half as much, but is a lot larger. It has a 15.6 inch screen, though with a lower resolution of 1366 by 768, so it actually displays less of a Web page or document without scrolling. 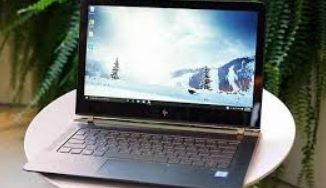 H-P calls this laptop a Sleekbook, not an ultrabook, because it uses an AMD processor, and ultrabook is a term that applies to Intel -based laptops. The Envy 6 Sleekbook is almost 15 inches long and 10 inches deep and just under 0.8 inch thick. It weighs 4.5 pounds. It isn't hard to carry, but if you're used to a smaller, lighter laptop, there's no mistaking the fact you're lugging something bigger. The design makes the machine look lighter, with a black, brushed aluminum cover and a red, rubbery bottom. In general, I found the Sleekbook to be a bit sluggish, though it handled every program properly. The touch pad also felt stiff, though the keyboard was fine. The desktop is marred by icons for trial software, especially games. The H-P also outperformed the Lenovo on my battery test, clocking in at four hours, 40 minutes, which means you might get six hours in normal use. The company claims up to nine hours. The X1 Carbon continues the tradition of the ThinkPad's superior design and performance, and is a solid choice for those who can live with its price tag and middling battery life. The Envy 6 Sleekbook is a good choice for students, provided they want a heavier, larger laptop. 1 Response to "Two Thin Laptops For You Back to School"